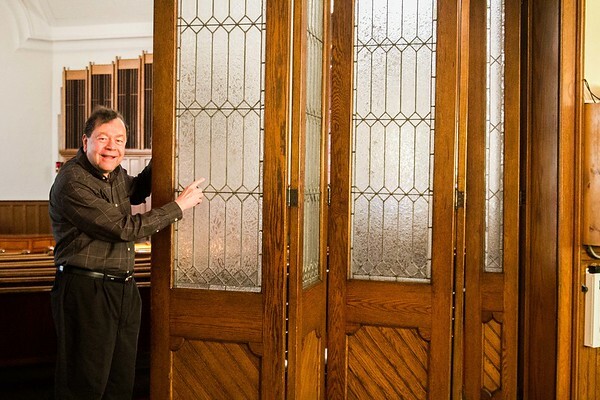 Trustee Chairman, James D. Flood, points ot the fish glass windows in the folding doors between the Friendship Room and the sanctuary. The windows are call 'fish glass' because fish scales were dropped on the windows during manufacturing. The effect is achieved today by dropping glue chips.